The Minister of Foreign Affairs of Turkey, H.E. Mevlüt Çavuşoğlu hosts a meeting of Foreign Ministers of NATO countries and NATO partners in Antalya, Turkey, on 13 and 14 of May, under the chairmanship of NATO Secretary General, H.E. Jens Stoltenberg. The Foreign Minister of Afghanistan was also invited to attend and delivered a statement. 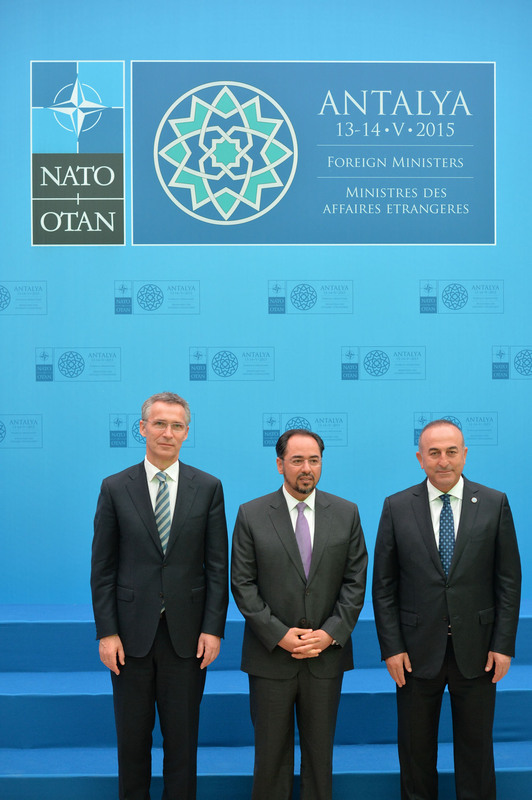 Foreign Minister Rabbani in his address to NATO welcomed the commitment shown by the alliance towards Afghanistan and stated that: “We received assurance from all the NATO members that their support will continue to enhance the capability of the Afghan national security forces. 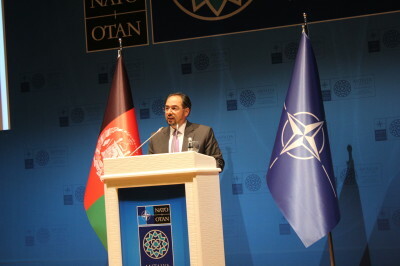 In the coming years, they will be standing by the Afghan people”. 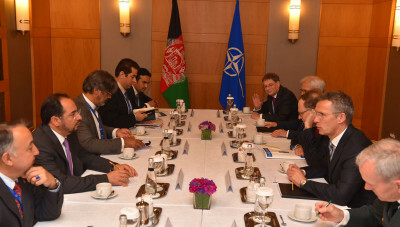 General John Campbell, Commander of Resolute Support Mission, and representatives from the United Nations, the European Union, Japan, and South Korea also participated. 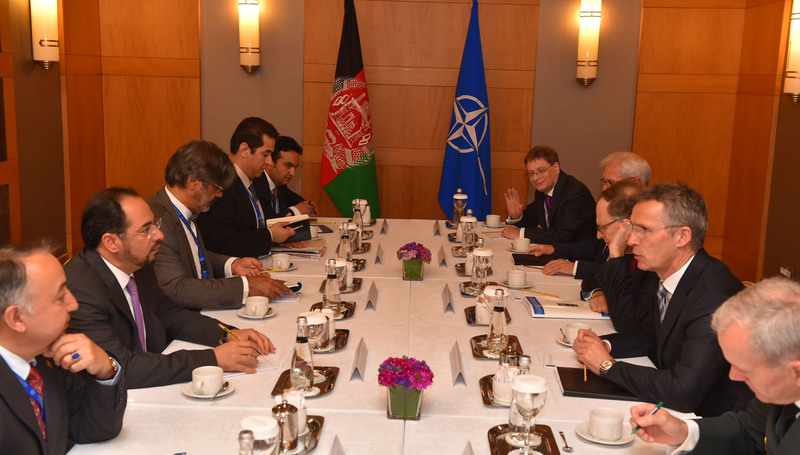 Foreign Minister Rabbani also met NATO Secretary General Mr. Stoltenberg and held bilateral meetings with other Foreign Ministers at the margins of the conference to discuss in detail prospects of the future cooperation. ISAF was established by UNSCR 2001 and concluded in December 2014, making the security transition to the Resolute Support Mission.